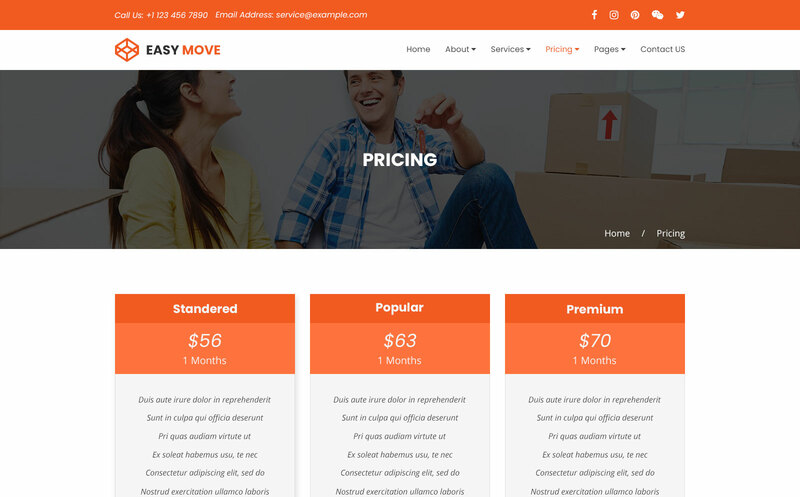 EASY MOVE - is a Packers, Moving services, Transport and Logistic services PSD Template, suits for any type of Corporate, Agency, movers, delivery company, maid services company, maintenance company, cleaners, storage and courier services. This is a clean and modern template with 10 PSD files included. You can customize it very easy to fit your needs.